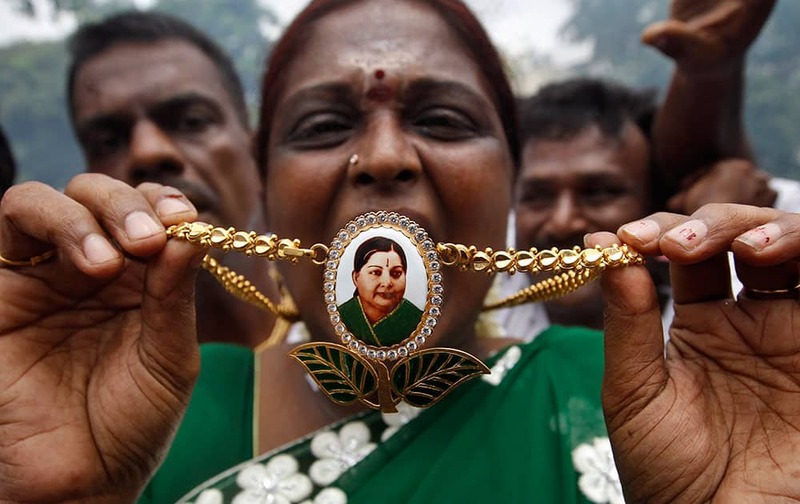 A member of All India Anna Dravida Munnetra Kazhagam (AIADMK) displays a locket with a portrait of party supremo and former Tamil Nadu state chief minister Jayaram Jayalalitha as she celebrates a court verdict in Chennai, India. 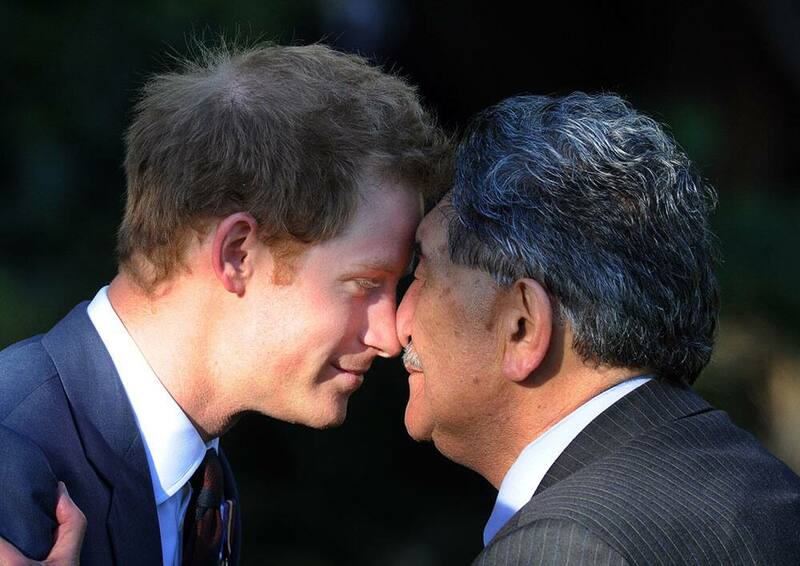 Britain's Prince Harry receives a traditional Maori greeting called hongi, from Kaumatua (Maori tribal elder) Lewis Moeau during a welcome ceremony at Government House, in Wellington, New Zealand. 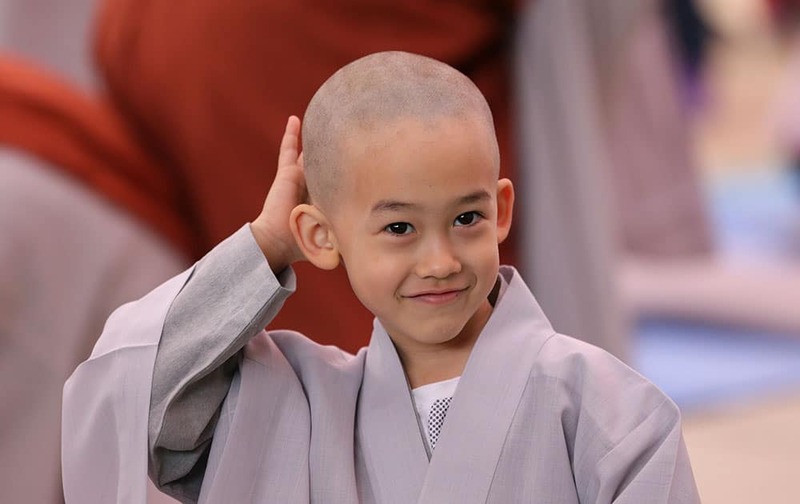 A boy whose Buddhist name is Chung A smiles as he touches his newly shaved head during a service to celebrate Buddha's upcoming birthday at Jogye Temple in Seoul, South Korea. 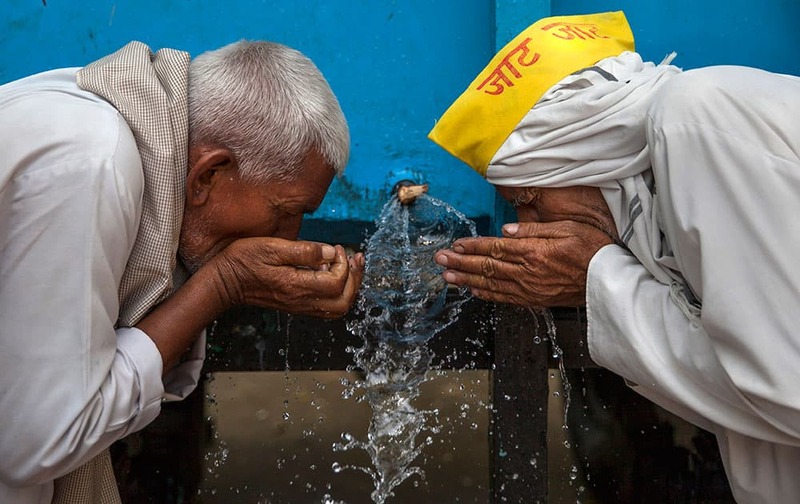 Members of the Indian Jat community drink water from a tanker during a protest in New Delhi, India. 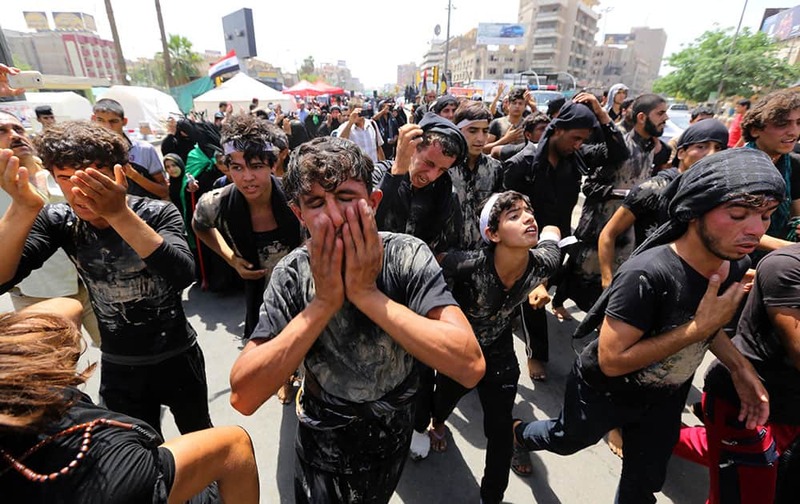 Shiite pilgrims beat themselves and cover themselves with mud as they march toward the Imam Mousa al-Kazim shrine to commemorate the anniversary of the imam's death in Baghdad, Iraq. 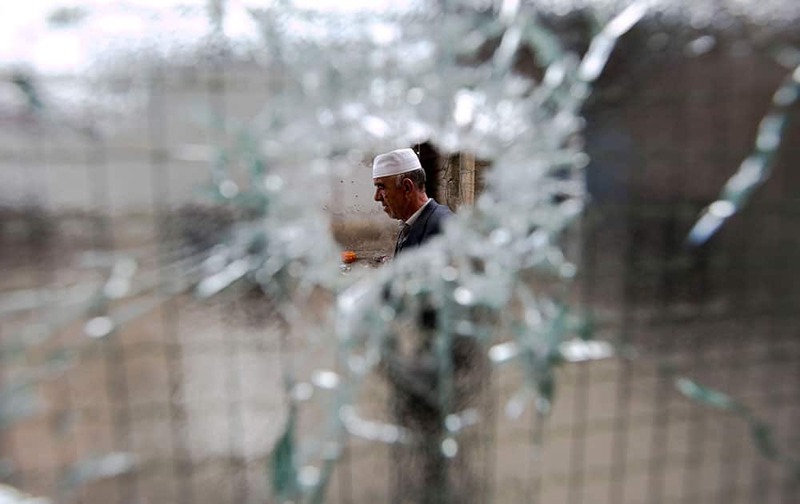 A resident visits the neighborhood where a battle took place over the weekend involving the police and an armed group, in northern Macedonian town of Kumanovo. 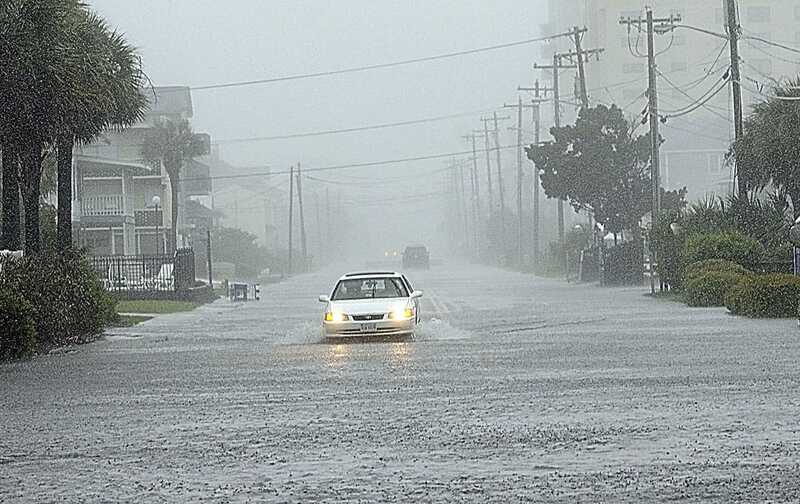 a tornado touches down in Cisco, Texas. 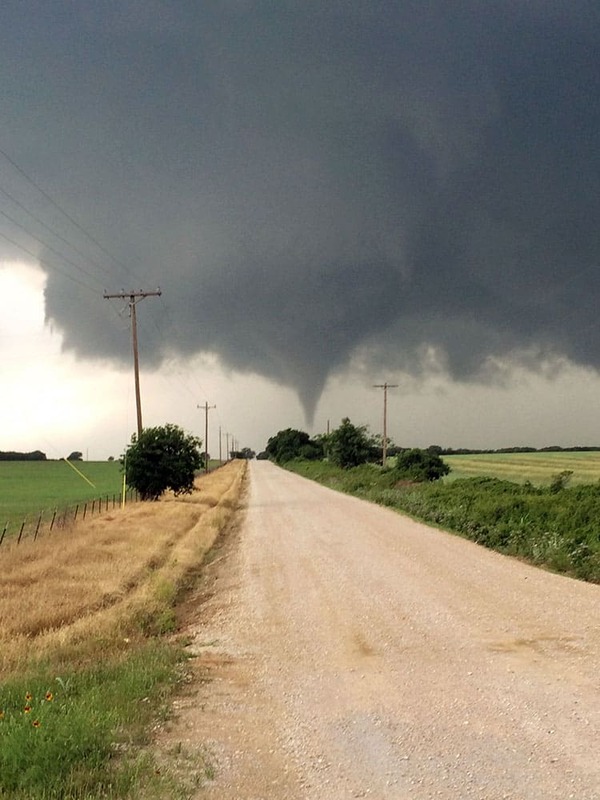 One person was killed Saturday night and another left in critical condition after the tornado hit Cisco, a rural farming and ranch area about 100 miles west of Fort Worth. Mark Cavendish is congratulated while wearing the yellow jersey he received for winning the first stage of the Amgen Tour of California cycling race in Sacramento, Calif.
Andy Murray of Britain poses with the ball girls and his trophy at the end of the Madrid Open Tennis tournament. Safina Sadullaeva of Uzbekistan celebrates winning the high jump competition in the women's heptathlon at the Asian Youth Athletics Championships in Doha, Qatar. 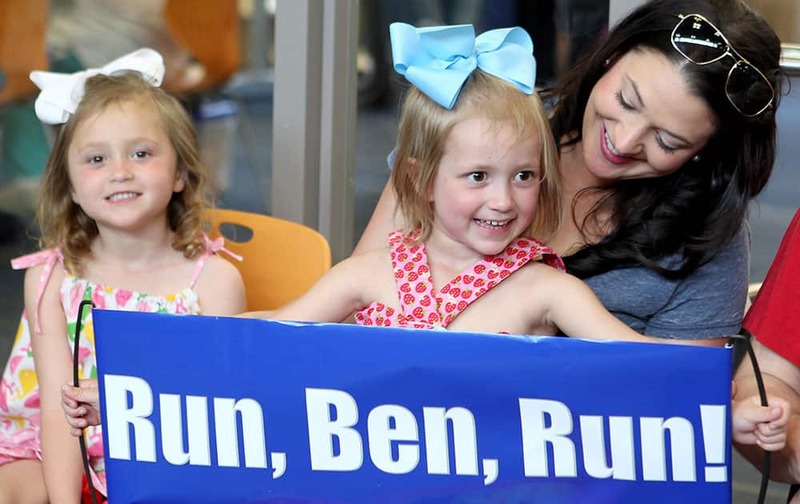 Molly Escott, 3, of White River Junction, Vt., sits with her mom Lacie, and her sister Josephine, 5, as they await Republican presidential candidate and retired neurosurgeon Ben Carson to speak at Manchester Community College, in Manchester, N.H.
A Christian woman who chose to protest instead of going to Sunday mass holds a figurine of Jesus Christ as she attends a demonstration to coincide with Mother's Day, against a third term for President Pierre Nkurunziza, and calling for the release of protesters arrested during demonstrations, in the capital Bujumbura, Burundi. 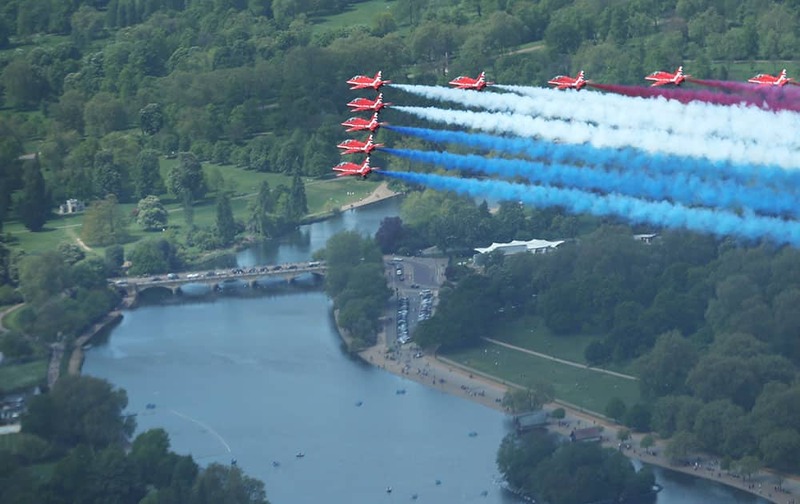 Britain's Royal Air Force aerobatic team the Red Arrows perform a fly past over The Serpentine in Hyde Park, London to mark the 70th anniversary of Victory in Europe (VE) Day. 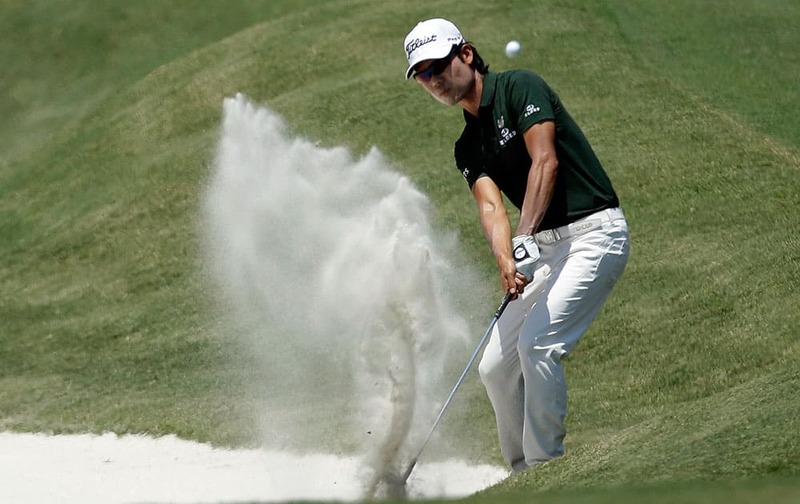 Kevin Na hits from the sand on the second hole during the final round of The Players Championship golf tournament, in Ponte Vedra Beach, Fla.
A car drives south on a flooded Ocean Boulevard after it drove past barricades warning of the high water, in North Myrtle Beach, S.C. 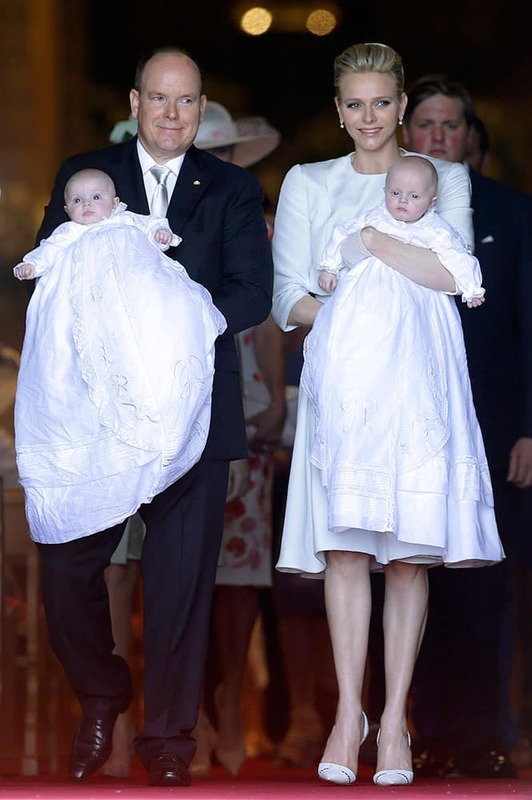 Prince Albert II of Monaco and his wife Princess Charlene pose with their twins babies Princess Gabriella, left, and Prince Jacques, right, after their baptism ceremony in the Cathedral of Monaco.